Asphalt milling offers an economical means of removing distressed asphalt, smoothing existing road surfaces or eliminating markings. 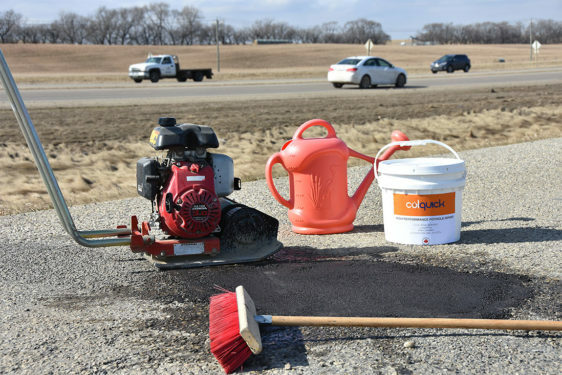 As leaders in road preservation and rehabilitation, ACP offers expert asphalt milling services allowing for varying degrees of pavement removal while producing a reusable material and leaving a clean surface that can be paved over immediately for quick turnaround. Our process leaves the underlying structure intact and salvaging the material means cost savings on both material and logistics. Our flexibility, with various machine sizes, allows us to respond to immediate needs or preplanned projects equally. Whether you’re just looking to remove line markings or oil spills, levelling, or completely repaving, ACP performs asphalt milling to the highest standards. With a variety of mill sizes, we perform milling on everything from tie-ins and around manholes to entire roadways, and even warehouse floors and parkade surfaces.